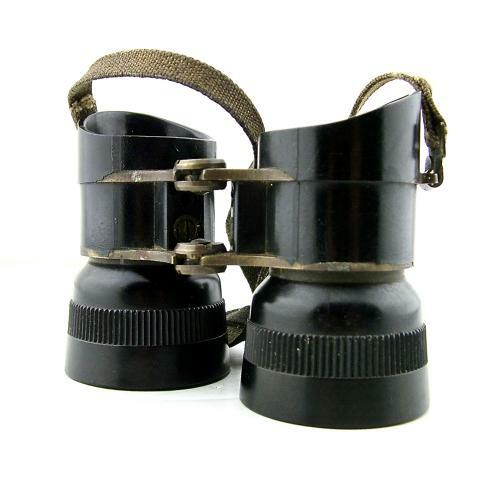 Wartime British Airborne and Special Forces issue binoculars. Compact design manufactured with a blackened brass body and bakelite eye pieces and lens holders. Engraved/stamped with small war department broad arrow mark on the centre hinge. Complete with green webbing neck strap. These show use and wear but are free of damage. Some dust/spots within the optics but these are not evident in use. Good '+' to very good used condition overall. Stock code M22799.